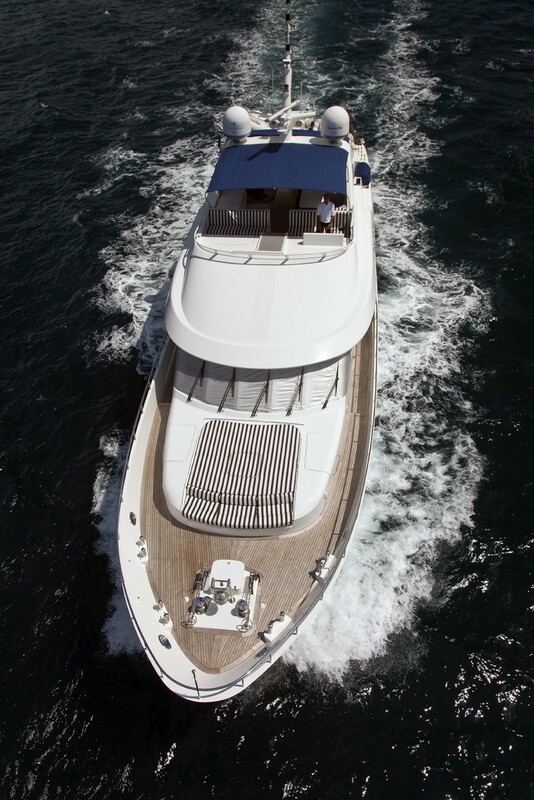 Far Niente is a luxury motor yacht built by the leading Dutch yard Moonen in 2006. 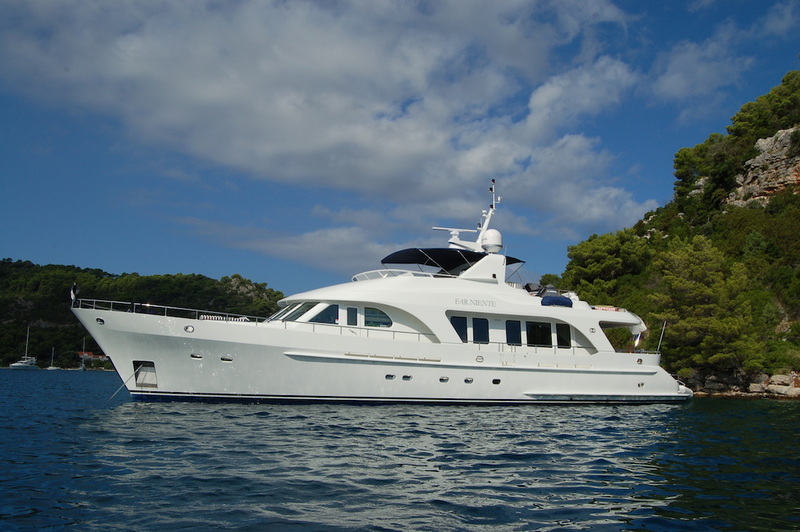 During the summer months she is based in the South of France, and in winter she is based in Spain. 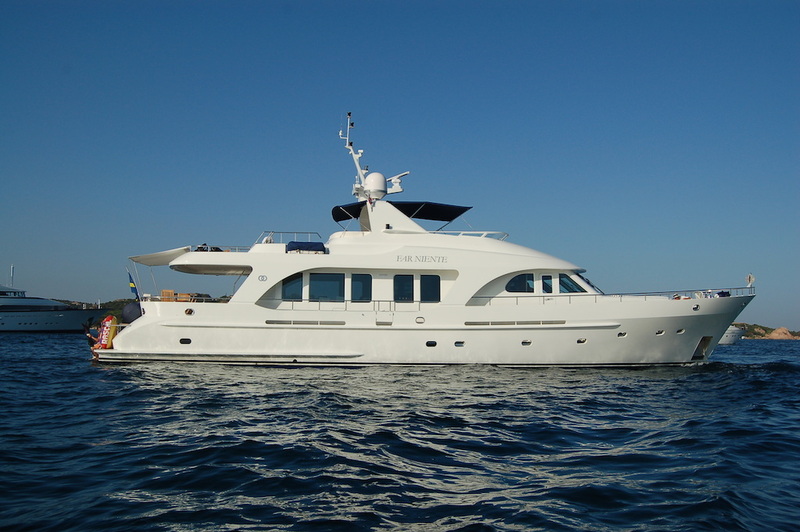 Far Niente is now available for charter and can accommodate 8-10 guests. 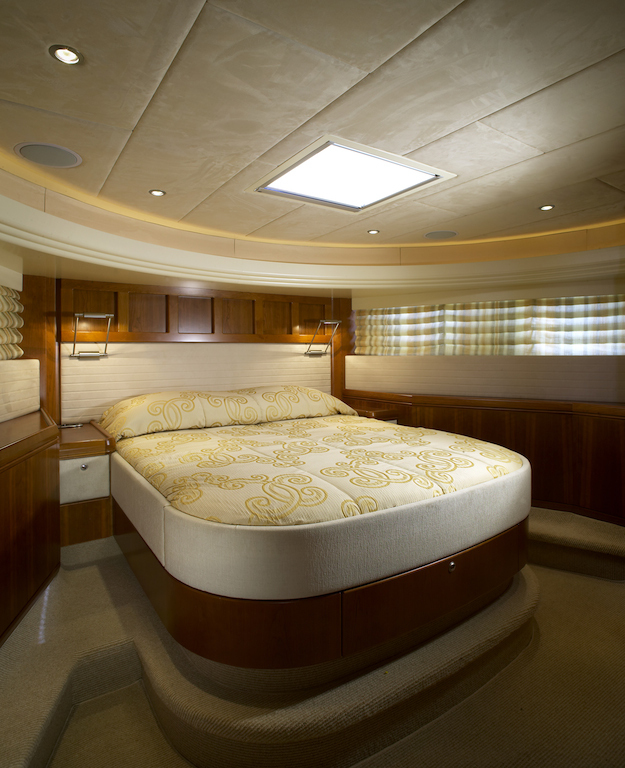 Far Niente is extremely well equipped and provides comfort and stability underway. 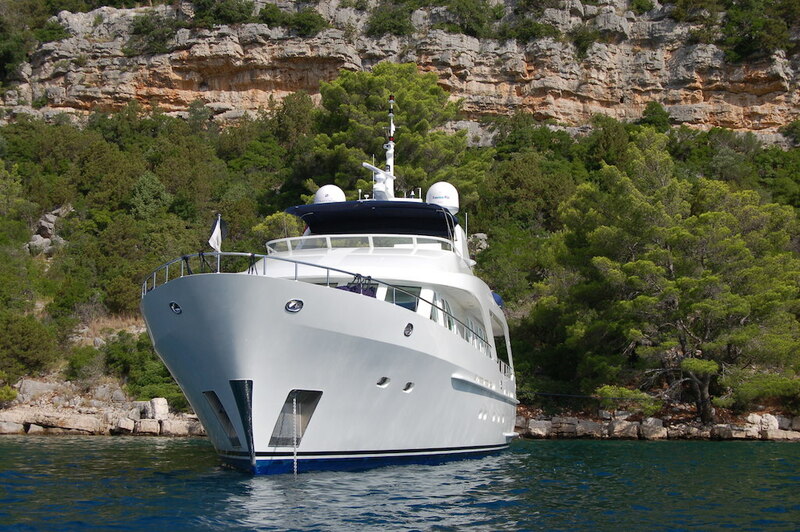 She has a forward cherry and steel staircase which accesses all decks. 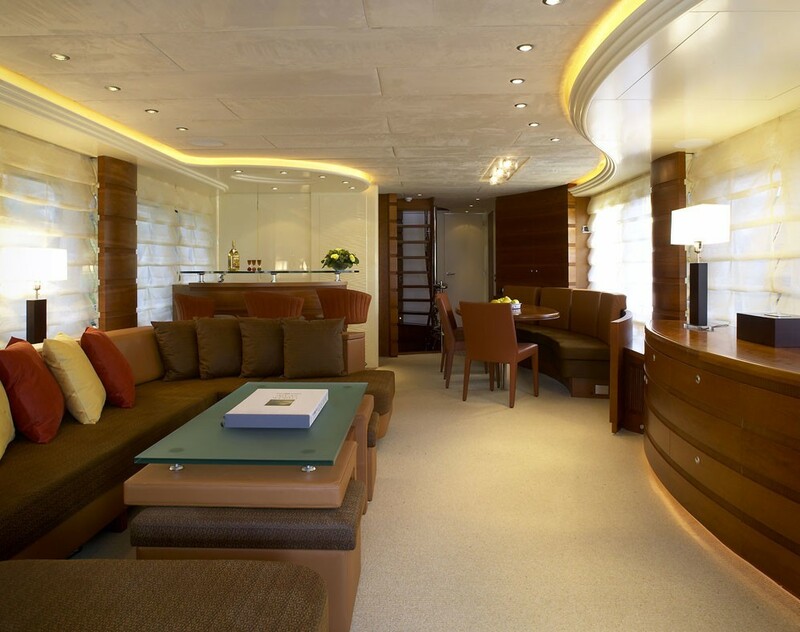 The main deck saloon is open plan and is equipped with free standing furniture. Therefore, can be easily arranged to suit the occasion! In Far Niente's main salon there is Sky TV, CD, DVD and VCR. 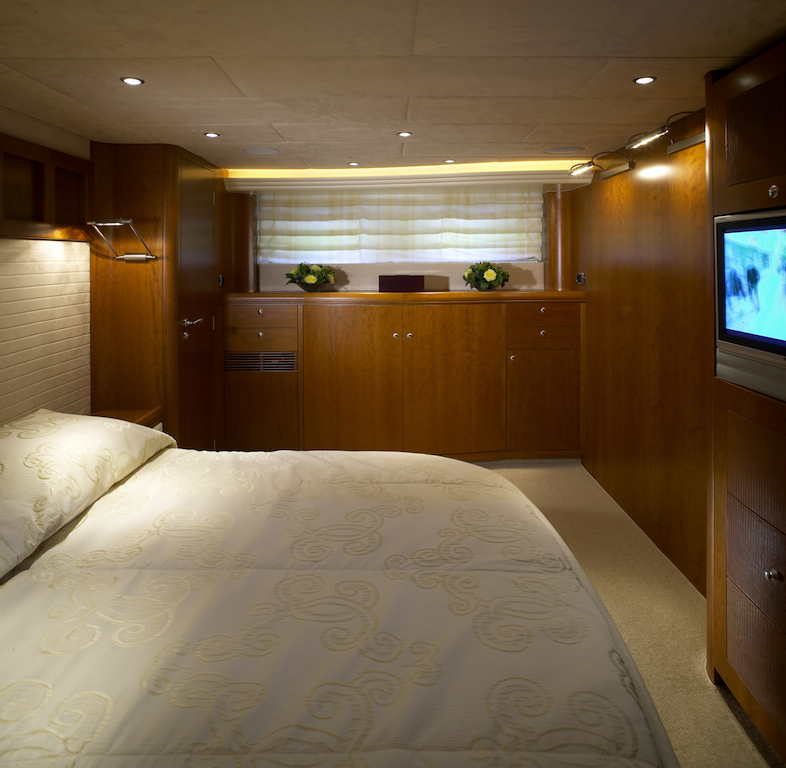 There are four staterooms all located on the lower deck and are equipped with ensuites, flat screen TV's, CD/DVD and plenty of storage space. 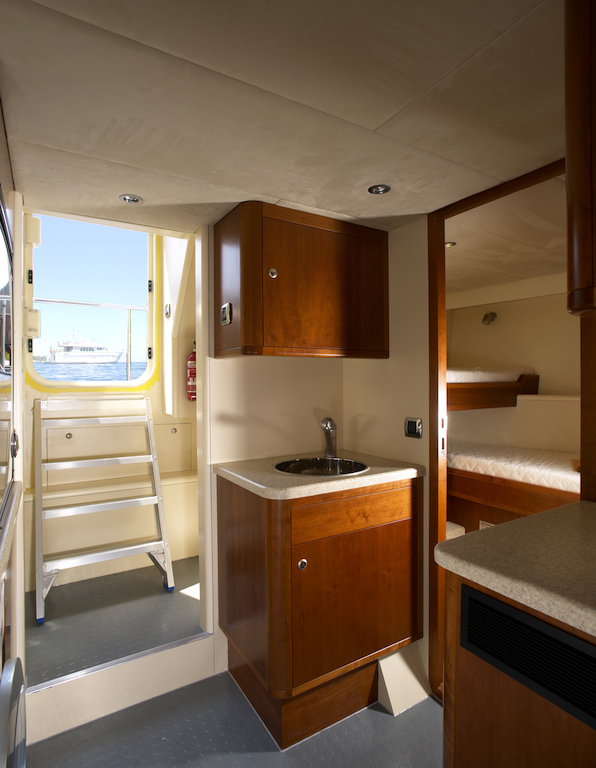 The master cabin has a double shower in the bathroom. 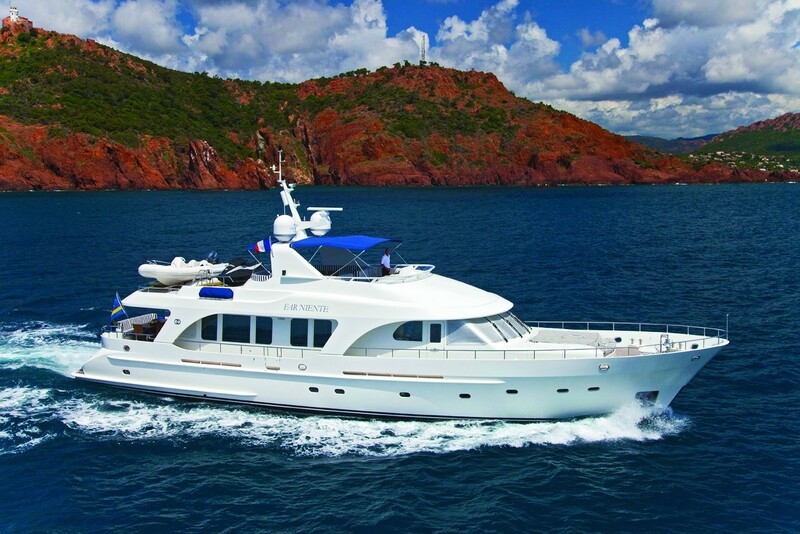 Far Niente's fly bridge has a large dining table and a BBQ for al fresco dining. 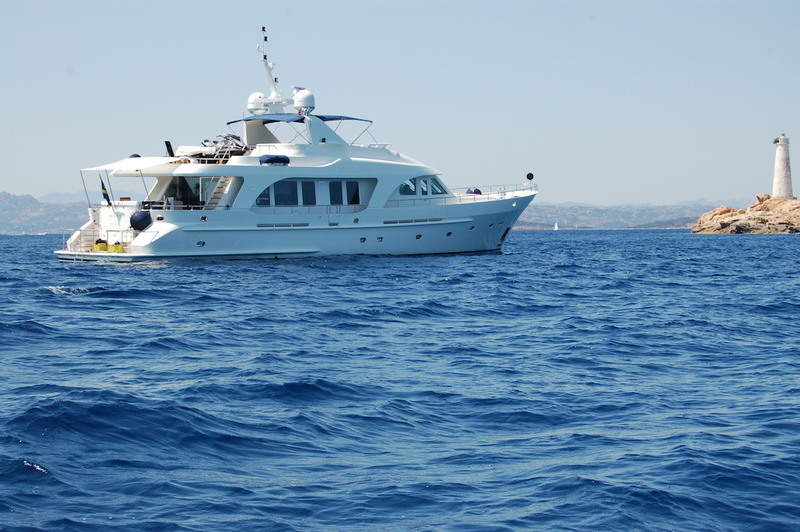 There is also plenty of space for sun bathing including comfortable sun bathing pads to laze and relax on during the days. 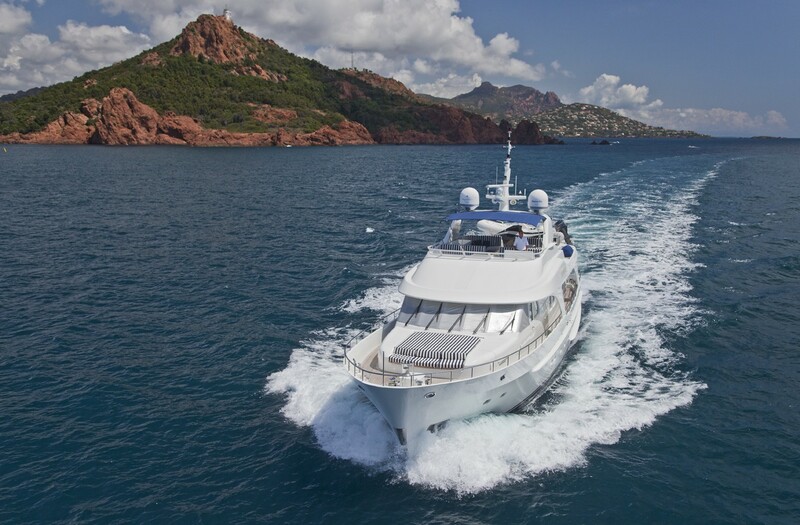 Far Niente's friendly crew are looking forward to welcoming you on board for a fantastic charter! 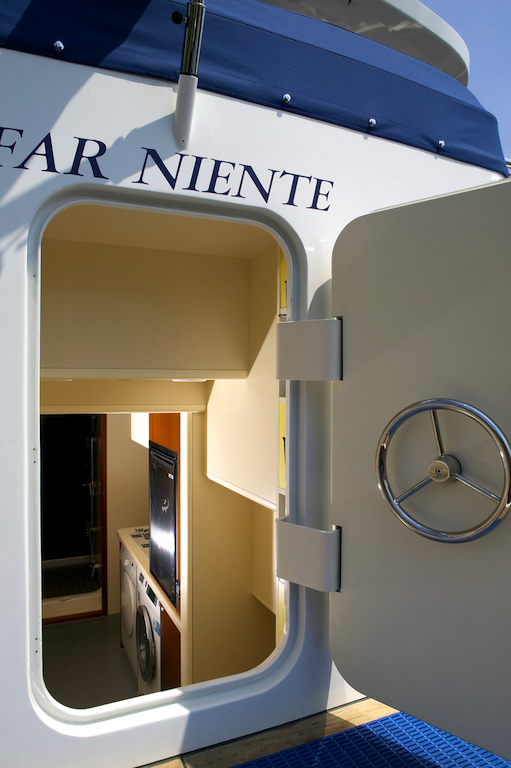 Far Niente has four cabins on board. 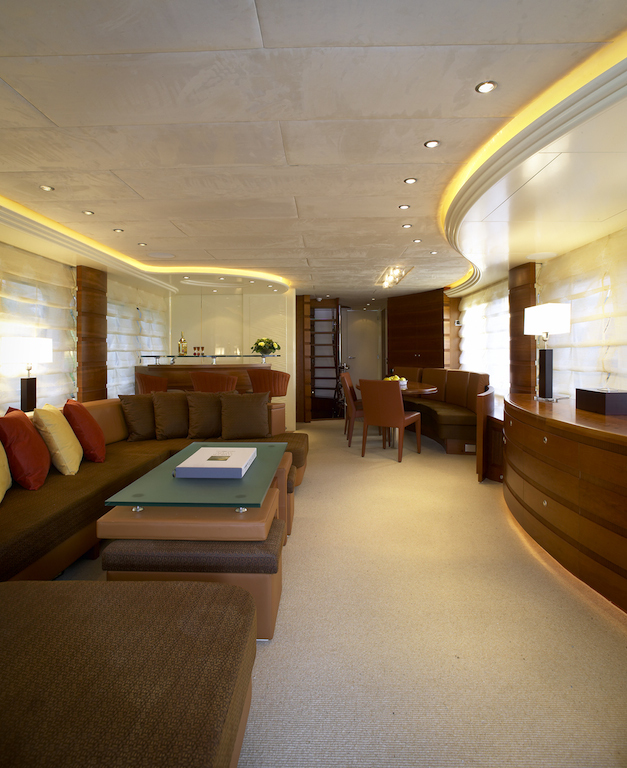 There is a very spacious master and VIP cabin which are both doubles, and then two further twin cabins. 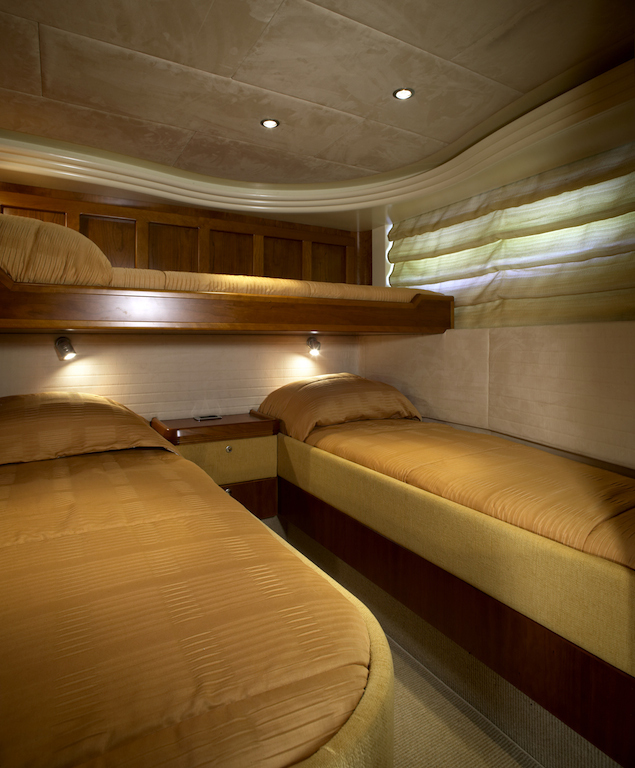 Each cabin has a fixed pullman which means she can accommodate 10 people but only children will be considered to fill these spaces.